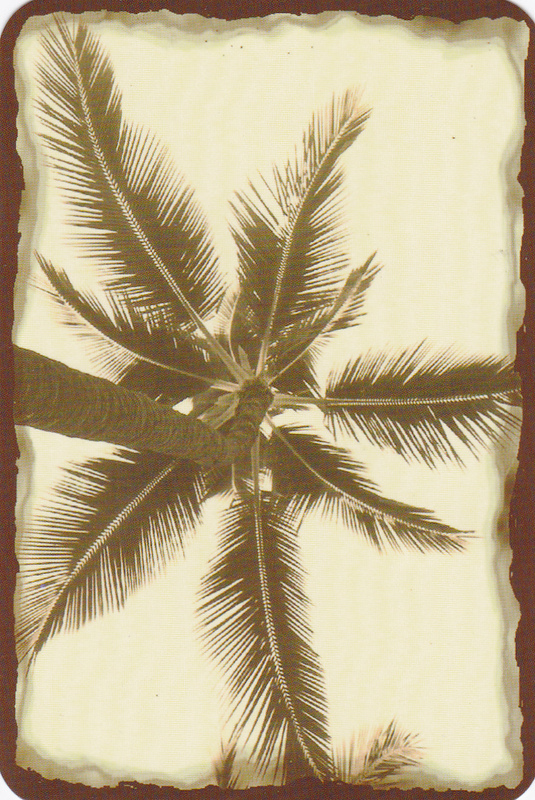 HazelMoon’s Hawaiian Tarot is a wonderful deck by Katalin E. Csiskos, that blends Hawaiian spirituality, the power of ancient and modern beliefs and the love of nature in all it’s glory. This is a wonderful deck that shows us the importance of living happy, contented lives and the rewards of living in harmony with one’s self and the glorious beauty of Mother Nature in all her majestic forms. This is a traditional 78 card deck, with Strength numbered 8 and Justice at number 11. The card stock is fabulous to shuffle and the cards have a glossy lamination that just makes the imagery pop. 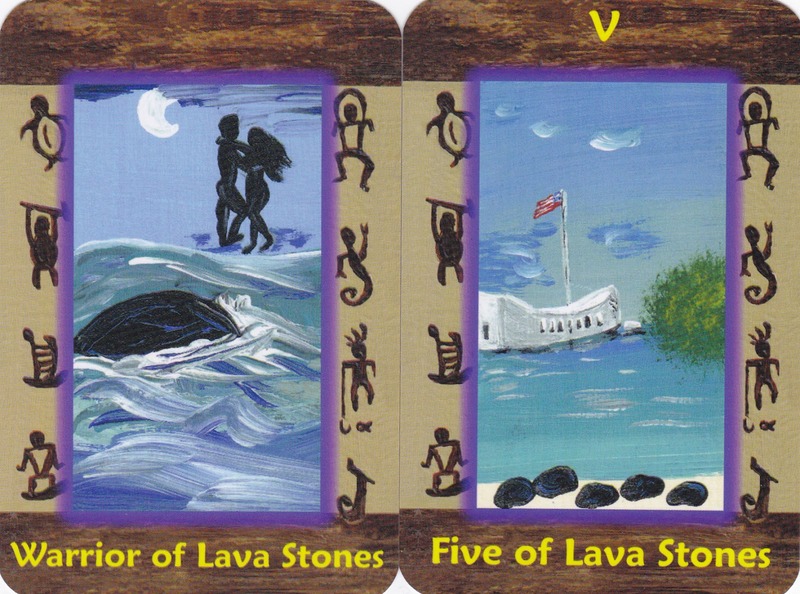 When going through the deck, I noticed that many of the cards depict landscapes, and according to Katalin, in Hawaii the land or “aina” is very sacred to it’s peoples and thus protected closely. The Major Arcana each have a Roman numeral at the top and name of each card at the bottom and I just love the choices of coloring and situations portrayed that give me a complete “sense” of the message of each card. All of the Major Arcana have the traditional names with the exception of the Devil, which has been renamed The Evil, in which the Hawaiian belief is that nothing is more evil than the disrespect of the land, nature or the animals that inhabit it. The Minor Arcana are arranged by suit, starting with Sticks, representing Wands in most decks, followed by Swords, Cups and Lava Stones equivalent to Pentacles or Coins. The Courts are represented by Boy (Page) Warrior (Knight) Queen and King. I absolutely love the way Katalin has used color and scenes that depict all the different aspects of each suit perfectly. This is a wonderful deck that not only pays homage to nature in all her glory but the healing and teaching aspects that we can all learn from to use as guidance, healing and understanding of ourselves and the world we live in. I would quite happily recommend this deck to anyone both novice and experienced alike! Thank you for reviewing this lovely deck! katalin has done an amazing job here! Aloha and Mahalo for your reviews ladys! You did a great job that makes me feel happy! Big Hugs for both of you! 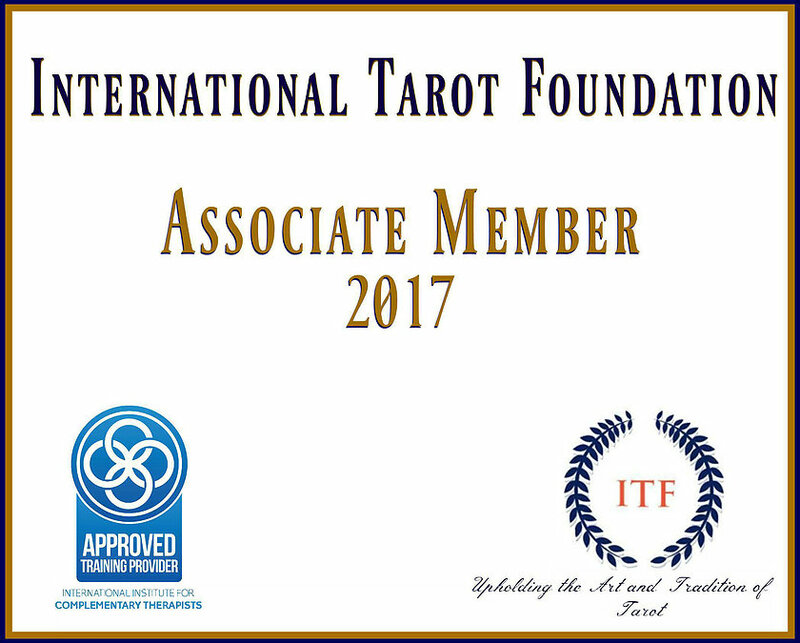 The joyful island tarot. Wow, I am impressed with a little known deck that just popped up in my life. 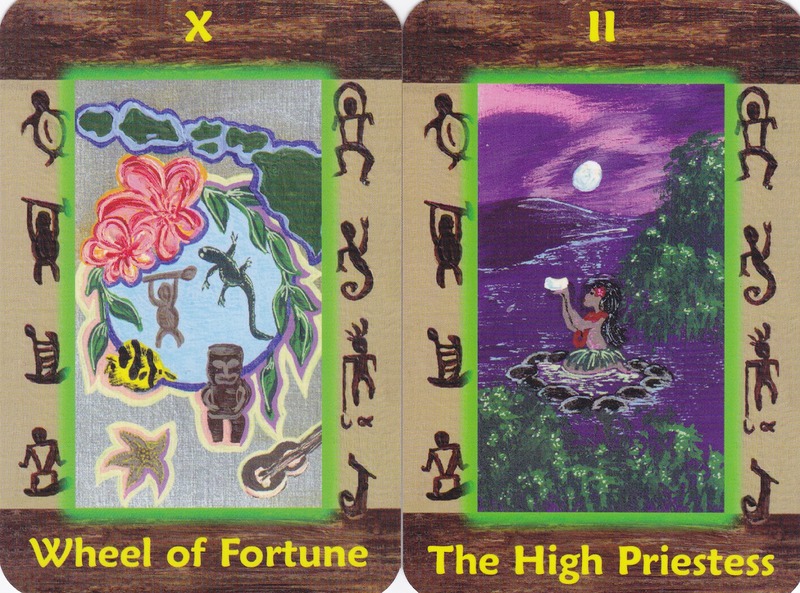 Hazelmoon’s Hawaiian Tarot. I was told a few years ago about a deck that was a one of a kind and real cool since it was all about Hawai’i. I have been there and it sounded like a great idea. In this set Hazelmoon uses her artistry and personal joy of Hawai’i to create images that are both known landmarks and other suggestive locations or events. I was told that many people who live in the islands have nature spots that when they are feeling stressed or emotional they go to. That might be some o the paintings on the cards. I hope so. To give us a peek at a personal space like that would just charge up a card more. Artists tend to be sensitive people and a good artist usually puts themselves into their work so I felt closer to her for the non-specific images than the tourists stops like the blue church in Kona. Which wasn’t blue anymore when I saw it. So I guess her card is more an artifact now and a memory of the older hawaii past. Cool! I was told by Hazelmoon that this is the only print run she will do and that was why she had the printer run off several thousand so once this batch has homes that is it. I got another one for keeping. I know that as time goes by some decks will be lost or worn it so little by little these will become more valued and collectable. I fantasize that one day when I am old and grey I will have the last set and thy will almost vibrate with energy. Maybe I will hear the conk she’ll blow and will then know it has become so. I too thought the high gloss was a good choice. It enriches the color as you did notice. I am sure an artist agonizes over such matters but with such contrasts in color and light it appears to e a wise choice. Wow, I am impressed with a little known deck that just popped up in my life. 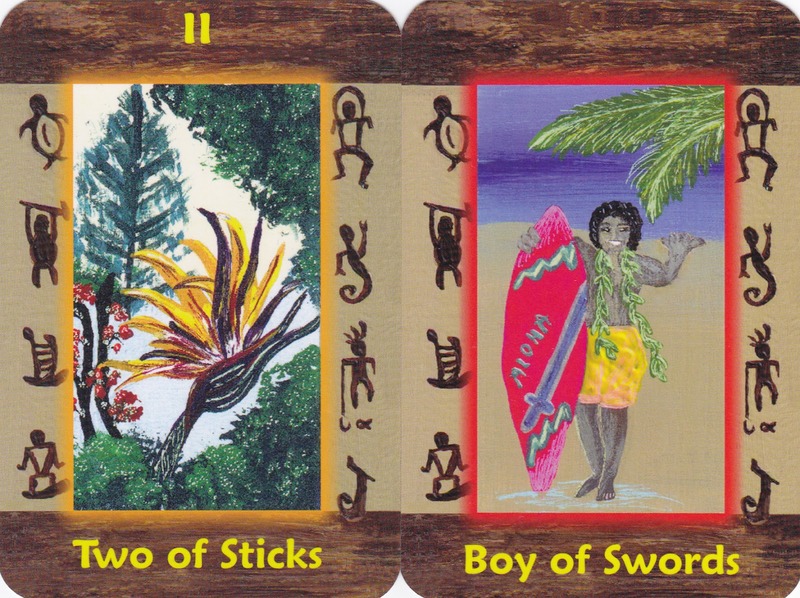 Hazelmoon’s Hawaiian Tarot.